Kutztown says hello! to NYC. More talented Kutztown students are heading to the 2015 MoCCA Arts Fest in NYC with their zines or mini-comics, April 11-12. Christina Davies is not only a design/illustration student, she is a student of the universe and avid space enthusiast. 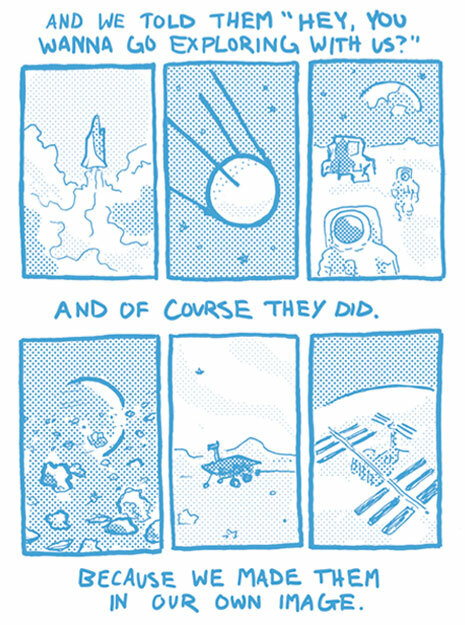 Her zine, titled “hello” celebrates manmade spacecraft and satellites, and how humanity’s will to learn and explore the universe will carry on through time. Printed in spacey blue, $3. More of Christina’s work can be found here and here. 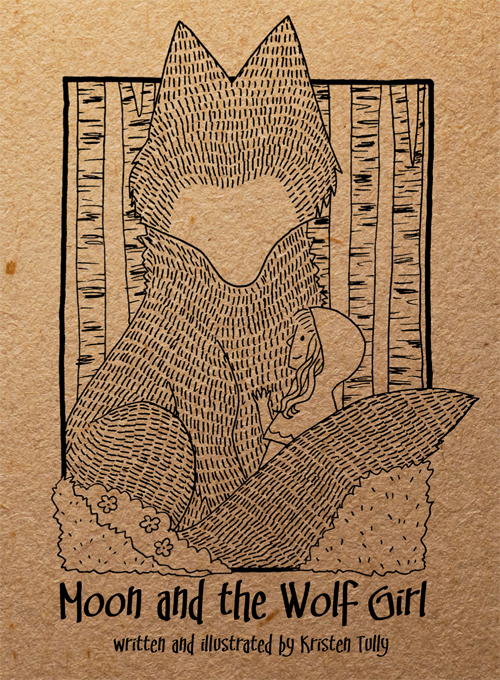 She will also be featured in the next Illozine, issue 12. 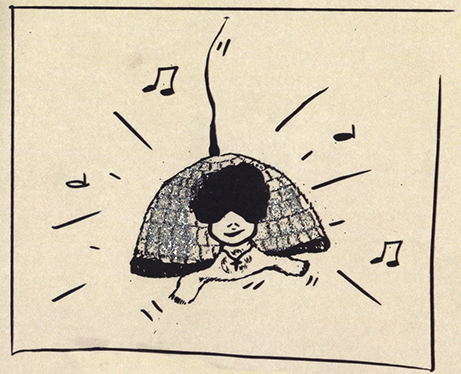 DT, aka The Disco Turtle by Brynne Camburn, $5.00. DT is a cowardly turtle who has a passion for deep house music and his own discos held within. After a turtle catastrophe, DT is forced to come out of his shell. This comic comes with an extra bonus: a custom music track on CD. The track is mixed by DJ newpyhundo, aka Tedd Wampole of NEPA, aka NorthEast PA. 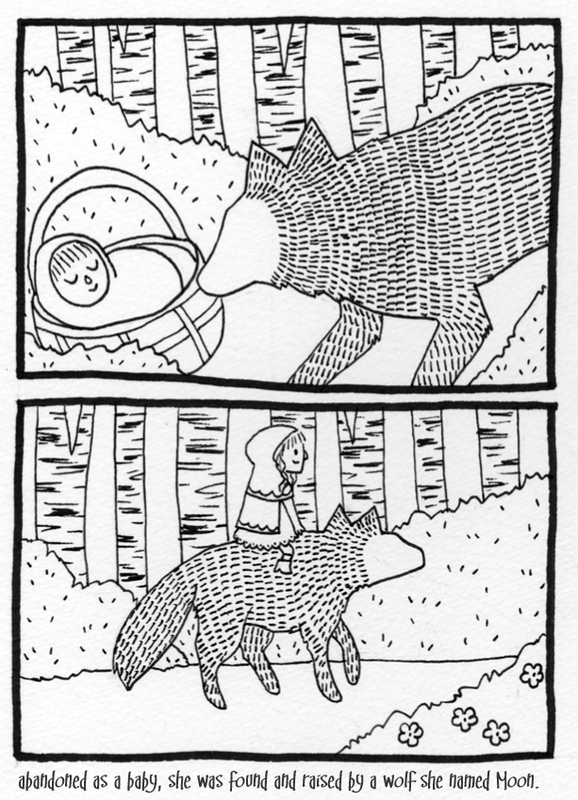 Interior pages, Moon and the Wolf Girl, © 2015Kristin Tully. We Dig Worms! by me, Kevin McCloskey © 2015, Toon Books. I will be at MoCCA’s Kutztown U table or at the table of Toon Books. MoCCA has been good to me. Last year at MoCCA I met with Françoise Mouly, publisher of Toon Books to finalize this book deal. As the art editor of the New Yorker magazine Françoise Mouly has the world’s best illustrators on speed dial. 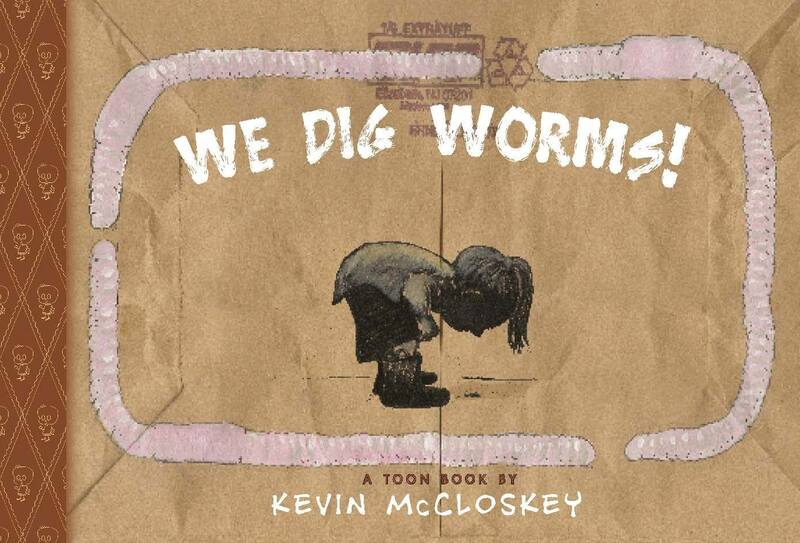 I am very fortunate that she chose to publish my We Dig Worms! She, along with her deputy art director Sasha Steinberg took my worms painted on paper bags, and made a beautiful book. The reviews have been good. Toon Books is sending me on a multi-state worm tour with a bucket of racing nightcrawlers. After NYC, we visit Alexandria, Va, Washington D.C. and San Francisco. I am also doing talks closer to home in Kutztown and Reading. Hope to see you. We Dig Worms! tour info here. Available wherever books are sold including Barnes and Noble, the Kutztown University Bookstore and Firefly Bookstore. < Previous Student Artists heading for MoCCA, NYC. Next > We Dig Worms on Tour. WOW!